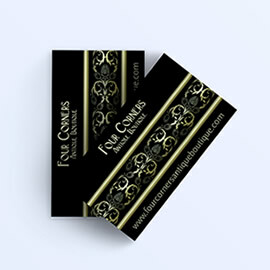 If you are looking for durable business cards – look no further. 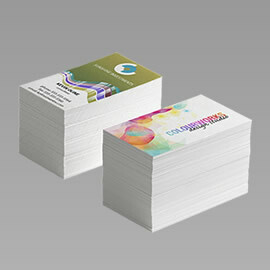 Print Factory offers clear plastic business cards, frosted and white plastic cards. At 20PT Thick they are still flexible like a business card but way more durable than laminated cards as directly printed on the plastic. Our White Plastic cards can be printed either single or double sided. 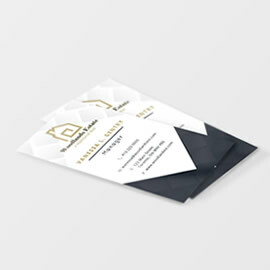 Frost and Clear Plastic business cards can only be printed single sided. All plastic cards also come with rounded corners. Choose between 1/8” or 1/4” for rounded corners. If you do not have design for your plastic cards ready, there are few options available to help you with that. 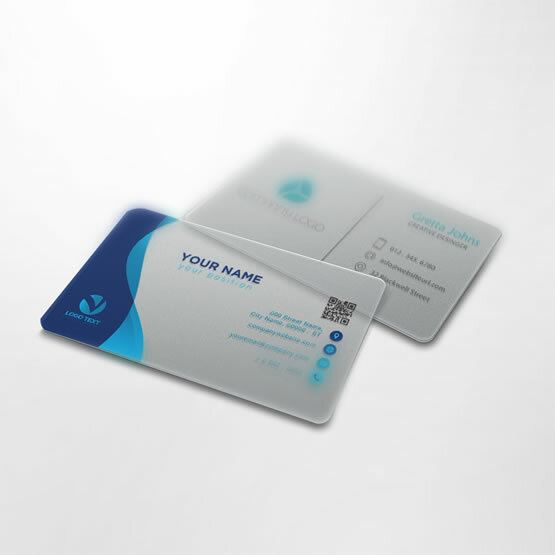 You can either use our online design tool to design your plastic cards or contact us and our design team will be happy to design unique and creative cards for you. For custom finishing options like foil stamping, embossing, sequential numbering, barcoding or magnetic strips or for quantities over 2500, please request an estimate, and one of our customer service representatives will be happy to assist. When designing your file, please make sure to have at least 0.1" for bleeds from each side and 0.125" safe zone for each side. So if you are looking to print 3.5" x 2.0" business card size plastic cards, your final page size should be 3.7" x 2.2" which includes bleeds. Do not forget to keep design elements away from the corners as they are rounded and some elements close to the corners may be trimmed. For more information about bleeds and safe zone click here.